I do love a well thought out and designed activity book. When done well they can be an absolute joy – boredom-busting, educational, inspiring and above all, FUN! The Merry Christmas, Pip! Sticker Activity Book was the perfect surprise for Mollie to pull out of her artist’s explorer satchel during the drive to Grandma and Grandad’s house this weekend. It kept her happily sticking and spotting and colouring as well as building the Christmas excitement nicely. Pip is, as always, beautifully gender-free and dressed in a range of wintry outfits of all colours, including elf and fairy. I love how accessible this makes the book – it genuinely is for *children* and is the perfect antidote to the ‘activity book for girls’ and ‘activity book for boys’ madness that drives me bonkers. 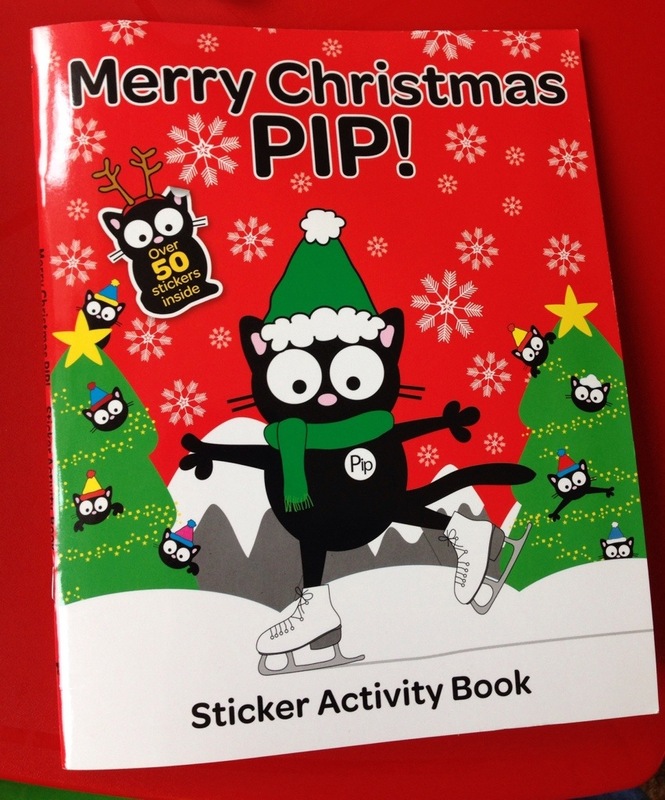 Including puzzle favourites like sticker pages, mazes, word searches and spot the differences, Merry Christmas, Pip! also includes some wonderfully festive and inspiring drawing ideas. Draw Pip’s Christmas costume, decorate a Christmas card or design a poster for a Christmas film. Brilliant fun, lots to do, and not a gender-stereotype in sight! Hurrah for Pip! Source: kindly sent for review by the Secret Santas at Hodder Children’s books.